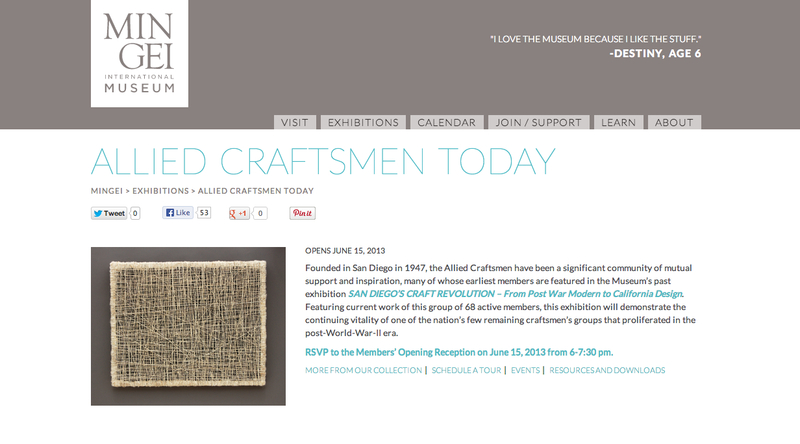 The Mingi’s 35th anniversary, and Community Celebration Weekend corresponds with the opening of Allied Craftsmen Today. Mingei is offering free admission to anyone and everyone who comes into the museum this weekend. If you come on Sunday from 12-4 pm, there will also be art activities and events for our monthly Family Sunday program. A Superb exhibition weekend and time to bring a new member!